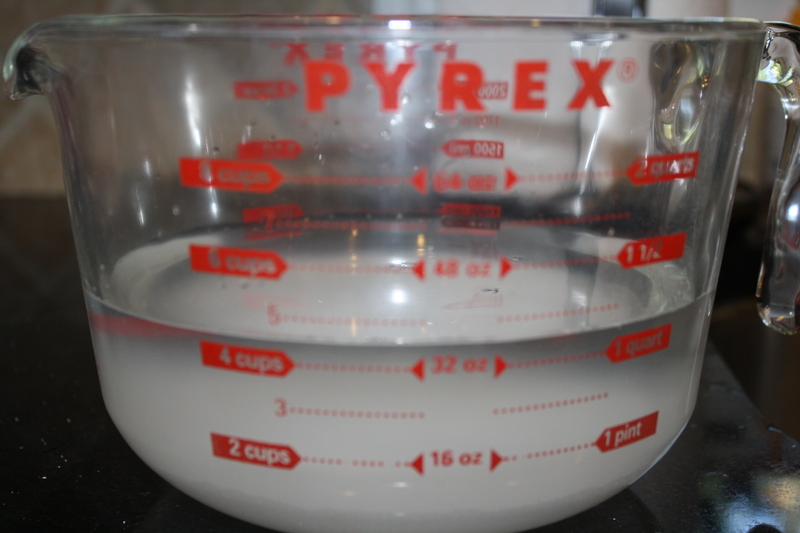 Dissolve 1/2 cup kosher salt (see note above) and 1/4 cup sugar in 1 quart of cold water. 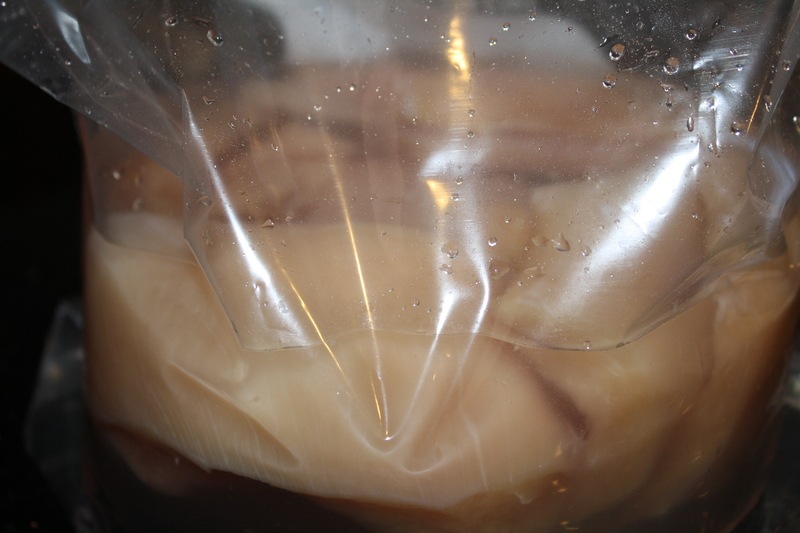 Place chicken breasts in a zipper-lock bag and add brine. Transfer to refrigerator and let sit for at least 6 hours and up to overnight. 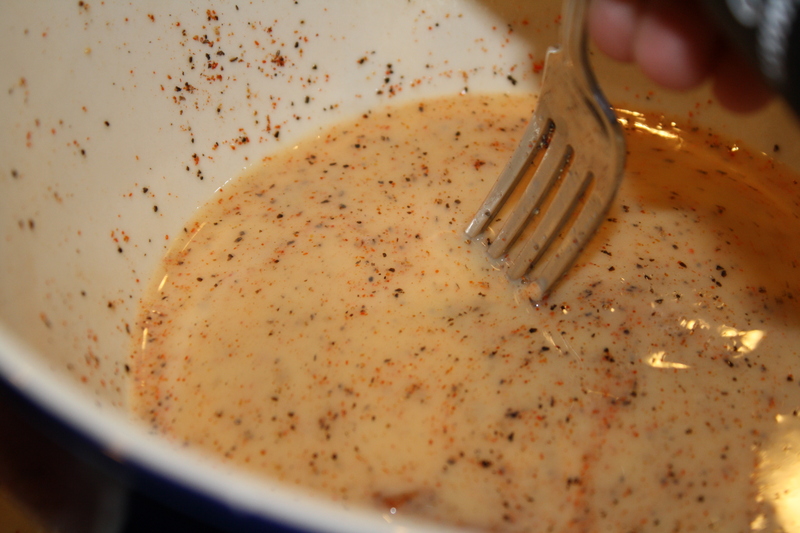 Meanwhile, combine paprika, black pepper, cayenne pepper, and MSG (if using), in a small bowl. Set aside. 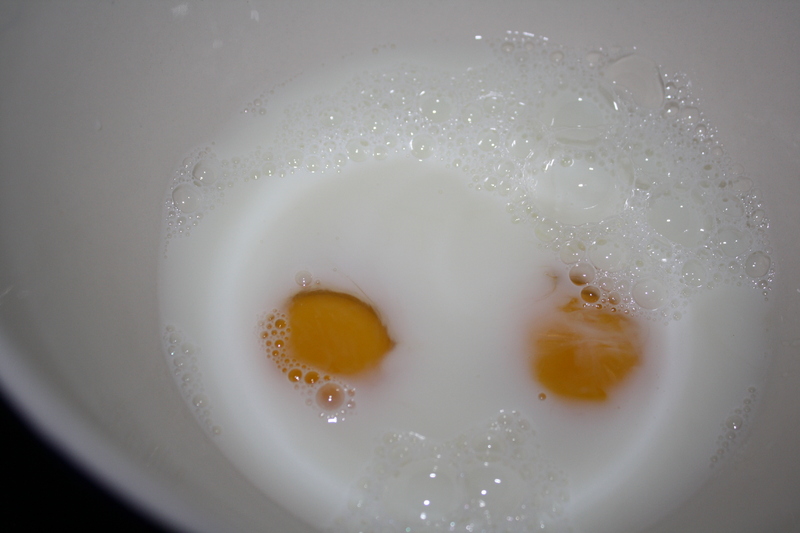 Whisk together milk and eggs in a medium bowl. Set aside. 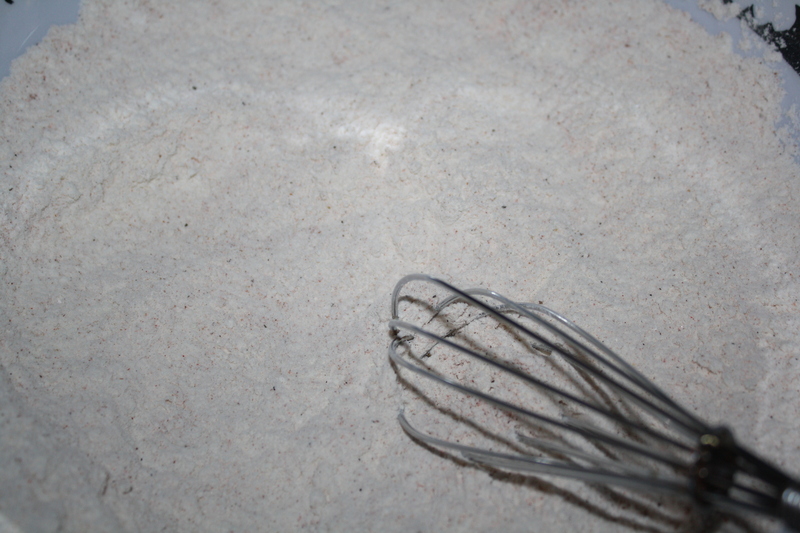 Combine flour, non-fat milk powder, baking powder, 1 tablespoon kosher salt, 2 teaspoons sugar, and 2 tablespoons of spice mixture in a large bowl and whisk until homogenous. Drizzle 3 tablespoons milk/egg mixture into flour mixture and rub with fingertips until the flour mixture is coarse like wet sand. 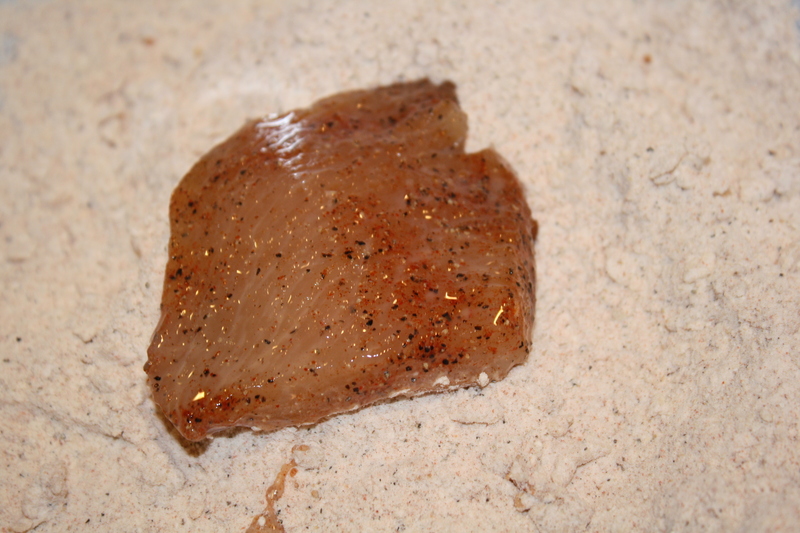 In a large wok, deep fryer, or Dutch oven, preheat oil to 350°F. Remove chicken breasts from brine and pat dry with paper towels. Season on all sides with remaining spice mixture. Transfer to milk mixture and turn to coat. Working one cutlet at a time, allow excess milk mixture to drip off then transfer to flour mixture. Turn to coat, pile extra mixture on top of cutlet, and press down firmly to adhere as much mixture as possible to the meat. 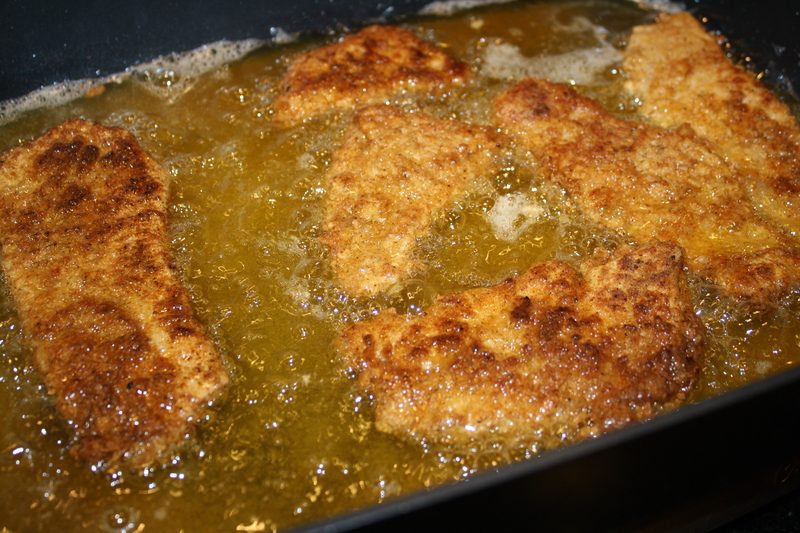 Lift cutlet, shake off excess flour, then slowly lower into hot oil. Repeat with remaining breasts. Cook, turning breasts occasionally until golden brown and crisp on all sides, and chicken is cooked through, about 4 minutes total. Transfer to a paper towel-lined plate. 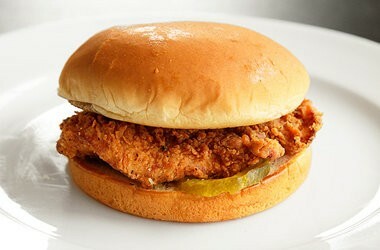 Place 2 pickles on each bottom bun and a fried chicken cutlet on top. Close sandwiches, then cover with an overturned bowl or aluminum foil and allow to rest for 2 minutes to steam buns. Serve immediately. I used more chicken for this recipe, 2 whole breasts, which, when cut horizontally, amounted to eight cutlets. The amounts for everything else were the same, though I needed to add a little more of the pepper mixture. First, I cut all the fat off the breasts and slit them horizontally. and put that in a baggie with the chicken. The bag then went into the fridge for four hours. There’s that note in the recipe about the salt, so I had some concerns. I used Morton’s salt, about 1/3 cup, brined for only four hours. In the end, the sandwiches were not too salty at all. 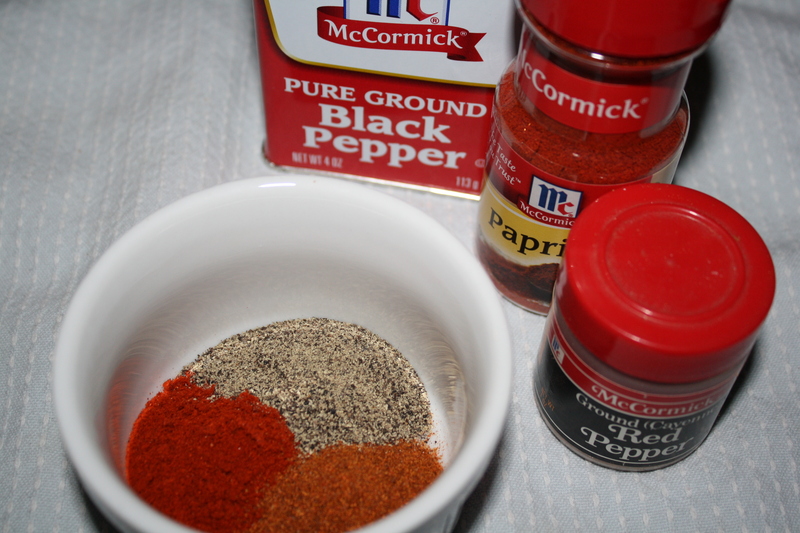 Next I put the black pepper, paprika, and cayenne in a small bowl. Then mixed the eggs and milk in a large bowl. The rest of the dry ingredients were put into a large, flat bowl since we would eventually be dredging the cutlets through them. I did not add any MSG because it’s a migraine trigger for me, but if you use it, then add it here. 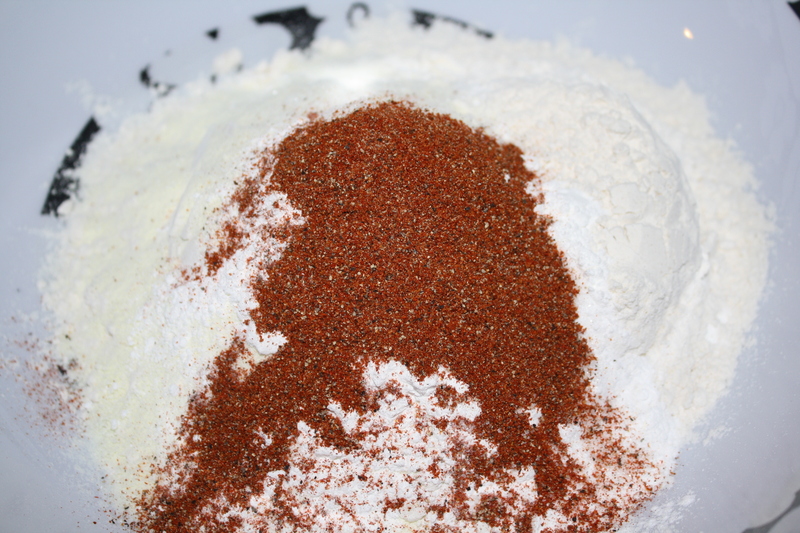 The recipe says to add two tablespoons of the pepper mixture to the dry ingredients, but there were barely more than two tablespoons all together, so I had to make more for later. And then they were mixed together until combined. 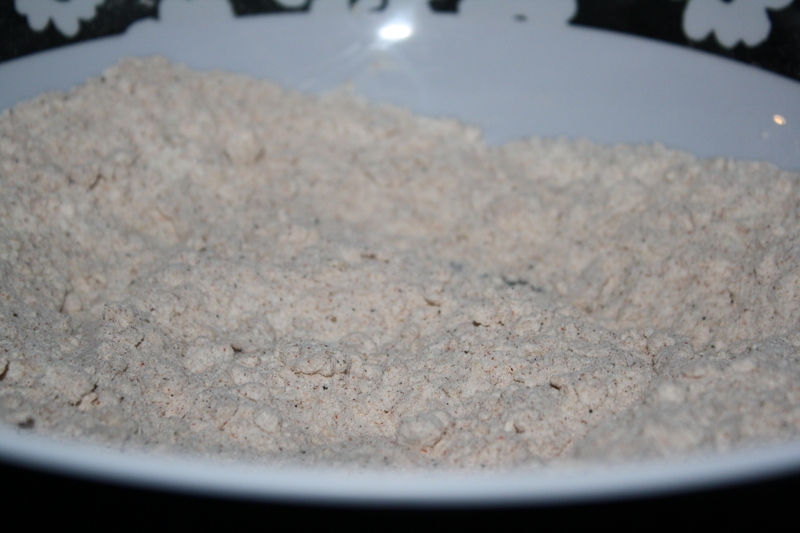 We added three tablespoons of the milk/egg mixture and got a lumpy breading. 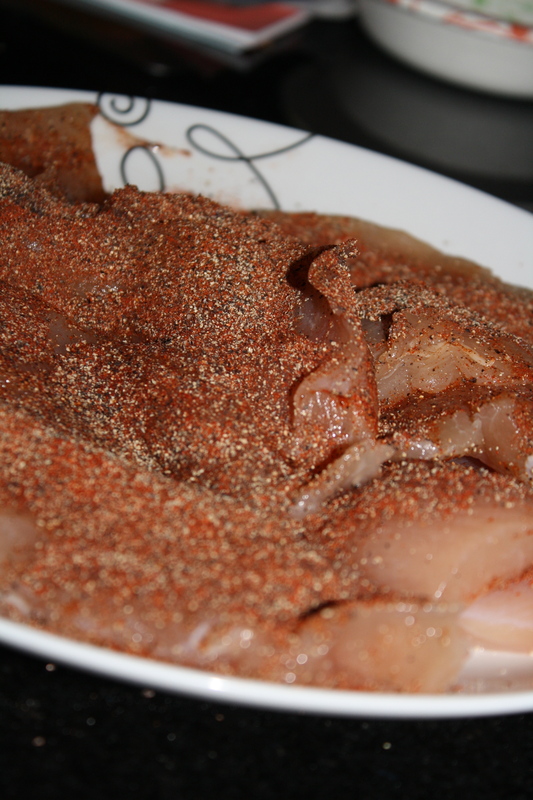 Then the recipe says to coat the cutlets on both sides with the pepper mixture, which is why I needed to mix up some more of it. I’d say if you are going to make this, then double up on the spicy ingredients. Don’t worry too much about over-coating with the spices because a lot of it comes off in the egg wash.
and then dredged them through the breading. 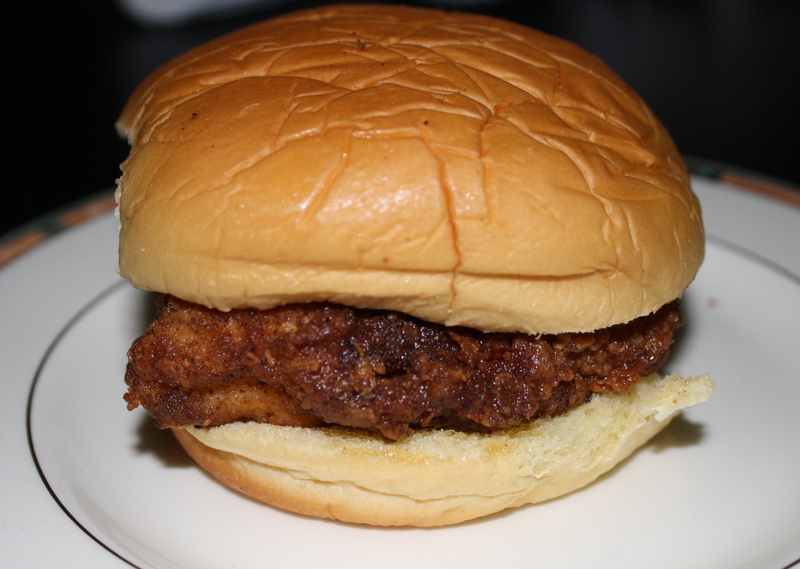 They went into the electric fryer, which had about 1/2 inch of hot peanut oil in it. We cooked them for about four or five minutes on each side. And then we put the sammies together and enjoyed. (Steamed buns optional.) It was pretty close to the real thing. In fact, in the future, if I ever make the Chik-Fil-A nuggets again, I think I am going to use this breading technique to make them. Adding powdered milk and a little bit of the milk mixture to the breading made it much more crisp, and gave it those nice crispy sort-of nubs in the coating.